The best bit about Lunar New Year is its duration. All 15 days of it. 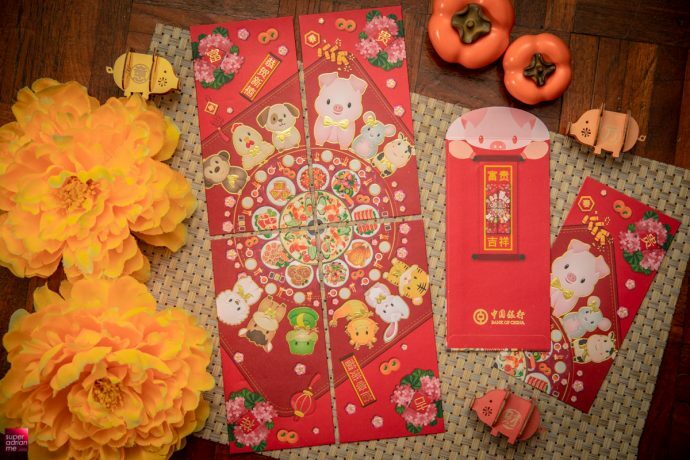 A feastival of red huat dressing and prosperity eating, online ordering of new dollar notes and street queueing for barbequed meat. And go-jek–saywhut-$52-don’t-go-already. Don’t be a boar, don’t be hog-tied by what others do and think, do not behave like a swine (at least not the 15 days of Chinese New Year). Be gorgeous. Be Miss Piggy. Are there Miss Piggy ang pows this Chinese New Year? Have you seen superadrianme.com’s annual hongbao show? It’s the most huat haul of ang pows evah, you’ll drool (like a porcine) that you do not have any of the limited editions and collectors’ editions. Well actually if you take part in superadrianme.com’s hongbao contest, you can win a wallet-ful of the prized CNY red envelopes. Happy Chinese New Year 🧧. 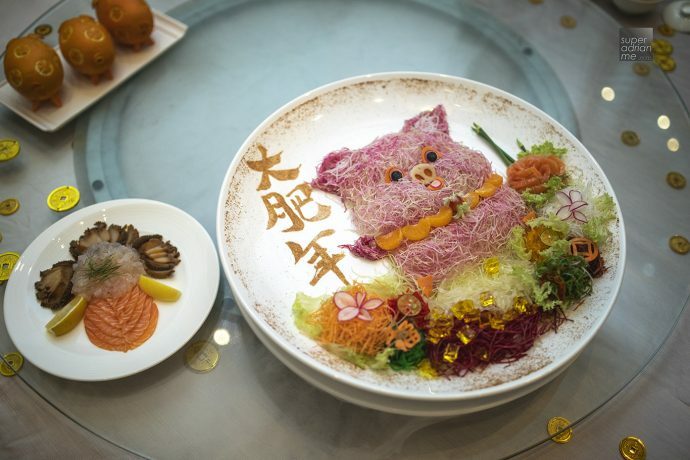 How was your 鱼生 (Yu Sheng or Lou Sang or Yee Sang, Lo Hei) this year? We feature some of the tasty Loh Hei that we have experienced and crave for more. And wherever you and your family were tossing your reunion dinner, remember there are many more days to lohei. Every year it does seem like there are more joints to have a toss-up of what is simply a salad but don’t forget, in competitive Singapore, we don’t do salad simple. We do salad splendid. 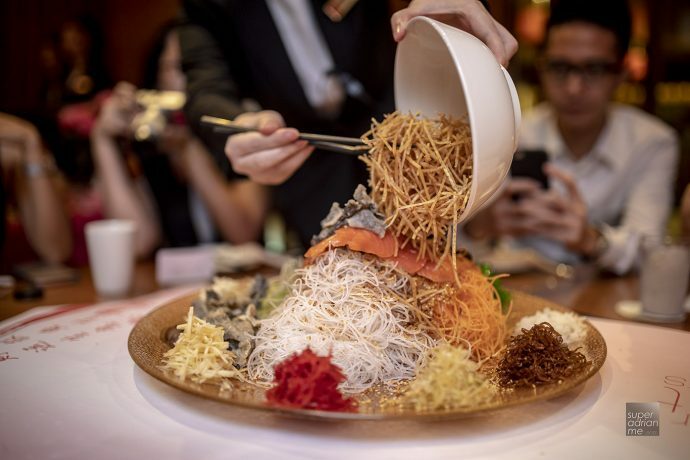 In no pecking order (I never peck, I shovel it down) here are a few of my favourite loheis so far: Jade Fullerton Hotel – so I can tell you I ate the most expensive yusheng, S$388, the Gold Rush Yu Sheng (abalone, lobster, salmon, champagne jelly) and it tastes like S$776 okay. Mitzo Grand Park Orchard – I counted some 15 ingredients in their Superior Peng Cai, after which, out of my way, WonderWoman, here comes SuperiorWoman. 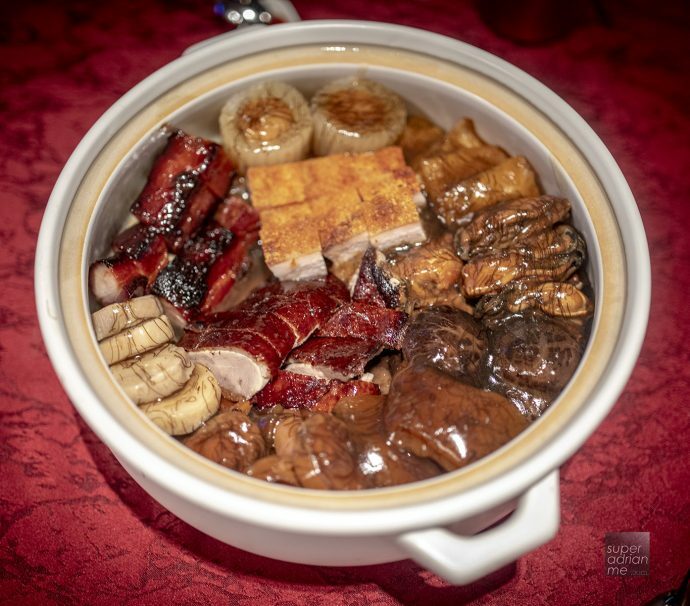 Park Hotel Clarke Quay was a throwback to tradition with its platter of bountiful moneybags, stuffed crab claw, old-fashioned crispy yam basket, dry-cured Jinhua ham, lotus leaf rice, and an unusual addition of yabby to its yusheng. To which, yabby-yabba-do! Plus free flow longan tea. Din Tai Fung – its yusheng has unagi, unbelievably good. I have only 16 more loheis to go. Is it because I’m Chinese? Orange you sorry you are not?